If You Open the Cage . . .
On Monday evening, at Portsmouth City Hall I was proclaimed the 12th Poet Laureate of the city. Below is the transcript of the remarks I made after I was introduced by Erine Leigh, the tenth laureate. I had introduced her at the same podium four years earlier. None of the customary photos were taken so I can just share these that I took at home. Well,…, here I am, …, on April Fool’s Day …. When I noted the date I was asked to come here, I did a little research … and found that some of the earliest references to April Fool’s Day were made by poets. In 1508, French poet Eloy d'Amerval referred to a poisson d’avril (April fool, literally "Fish of April"). In 1539, Flemish poet Eduard de Dene wrote something about a nobleman who sent his servants on foolish errands on April 1. Please don’t take my levity or my brevity tonight to mean that I will not take the role seriously. I will take it quite seriously. There have been ideas percolating in my mind for years about how I might fulfill this role were it ever to be bestowed on me. I look forward to working with the PPLP board, with city officials who have been so supportive for so long, and the entire community on bringing some of those ideas to fruition, to a poetic journey. I want to take us to places we’ve not yet been. And in accepting this laureateship I know I have miles to go before I sleep. While I acknowledge, with gratitude, every poet and board member who has served over the last twenty-two years, all the way back to Nancy and Paula and Esther, I am not willing to say I will stand on the shoulders of anybody. 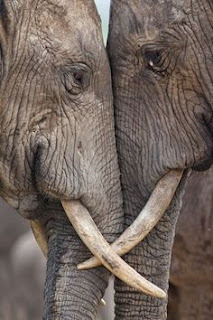 I would prefer that we link arms, and walk together, all of us, and see where it takes us …. I’d like, also, to acknowledge people going back a bit further. In closing I will leave you with a poem, but not one of my own. This is poem of the Abenaki-Passamoquddy people, the first poets to live on and love this land that we call Portsmouth, and I dedicate it to all of the poetic voices of this town; past, present, and future. I am a freelance writer and full time teacher. Currently seeking literary representation. I made a word cloud from the first few poems in my forthcoming book For To See the Elephant (Piscataqua Press, April 2019). Ele word cloud – Word cloud – WordItOut: Generate, customise, save, share, gift, print, browse & love word cloud art with WordItOut, the free word cloud maker online since 2010. I'd like to introduce my friend Sarah Sanchez from Texas! Like me, she began writing seriously only a few years ago. She has released two series; The Sunwalker Trilogy is YA and The Keeper Chronicles is middle grade fiction. Tell us a little about yourself , Sarah. I am a mother of three, a chocolate addict, and a Texan. Several years ago I found my true passion, writing. Although I love to read and have stories spilling out of my brain, I never really thought about becoming a writer. My grammar is atrocious. But I found a wonderful editor, who can attest to my truthfulness. She fixes all my mistakes and I get to focus on the part I enjoy, writing and creating. Share a short excerpt from your novel The Portal Keeper. What brought about the idea for this book? This is my second series. The first is a YA vampire trilogy. It is a little to intense for my younger children. So I wanted to write something they would enjoy. I asked for suggestions, and was told, “I want a book with a dragon in it.” I had been toying with the idea of writing a story with a portal and came up with The Portal Keeper. This is the first book in The Keeper Chronicles. At the moment I am getting The Secret of the Realms, the sequel to the Portal Keeper, ready to send to my editor. I have a few beta readers that give me their feedback first, so I am just waiting to hear back from them. I am also working on Darkwalker, the third and final book in my vampire trilogy. What have you struggled with since you began a career in writing? Balancing my time. Between family, my day job, writing books and promoting them; there never seems to be enough hours in the day. I try and do a little bit each day, but that doesn’t always occur. I try not to be too hard on myself. As long as I am making progress I call it a win. What kind of research do you do before you start a story? Typically most of my research is done as I am writing and not beforehand. As the story unfolds sometimes I stray into unfamiliar areas, and so I pause and do some research. Luckily I have the Internet at my fingertips. You just have to be careful you are looking at reliable sites as people can post anything they want online. Do you have people read your work before you publish? I don’t understand how anyone can write and not people read their drafts first. I look for ruthless beta readers. I don’t want someone to tell me how great my book is, I have parents for that. I want my flaws and inconsistencies found before we go to print. It can be a little hard to read the comments sometimes. But I love that I have found honest beta readers who want my books to be great even if getting them to that point may sting a little bit. Now after my book is published - praise away. There are so many lessons I have learned on this journey. The first is never give up. Don’t expect overnight success, and authors are some of the kindest people out there. How many times do you think you read your book before going to print? At least a dozen. I feel like I have the worst memory. So I read it half a dozen times before I even send it to beta readers, and then I go through a few after I get it back and a few more after my editor does her work. Thank you again for taking the time to interview me. Whether you pick up my book or another author’s, don’t forget to write a review. They mean the world to us. Check out free sample chapters of all my novels on Amazon or read them for free with Kindle Unlimited. Happy Reading!! "We Rise, We Resist, We Raise Our Voices"
I don't usually review books on my blog but I want to give a special extra-loud shout-out for this newly released antholgy. The Hudsons have done a remarkable job and it is a beautiful book that belongs in all middle and high school libraries. Children need this book; as a source of comfort, as a source of wisdom, as a source of answers. Please be sure it gets into their hands. The book is the final culmination of what began as a NaNoWriMo project several years ago. It is the story of the first two elephants to come to America (in succession), and while I did extensive research there was remarkably little material to work with. What is known for certain is that the first elephant came here in 1796 by way of a ship called the America owned by Captain Crowninshield of Salem, Massachusetts and then the elephant went on a walking tour of the infant nation. who was the elephant's keeper? When a person was referenced it was always the relatively wealthy white male owner, but knowing the history of our country at that time I decided that the correct thing to do was imagine the keeper as an enslaved man. Though my story is fictional I felt that imagining an enslaved keeper was important to accuracy and authenticity. The contributions, often the existance, of black people in America at that time was largely omitted from the historical record. I had no proof, so I knew I was going out on a limb, but I was committed to it. Walking on limbs is what much of my writing requires of me. That may seem like a little thing, but to me it is elephantine. The name William means "determined protector". That could not be more perfect for my character. Today I will delete the name I made up for the elephant keeper. His name was, and always shall be, William. 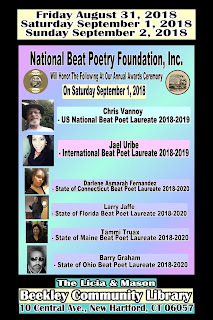 This afternoon I was supposed to be in New Hartford, Connecticut being officially named the Maine Beat Poet Laureate for 2018-2020. 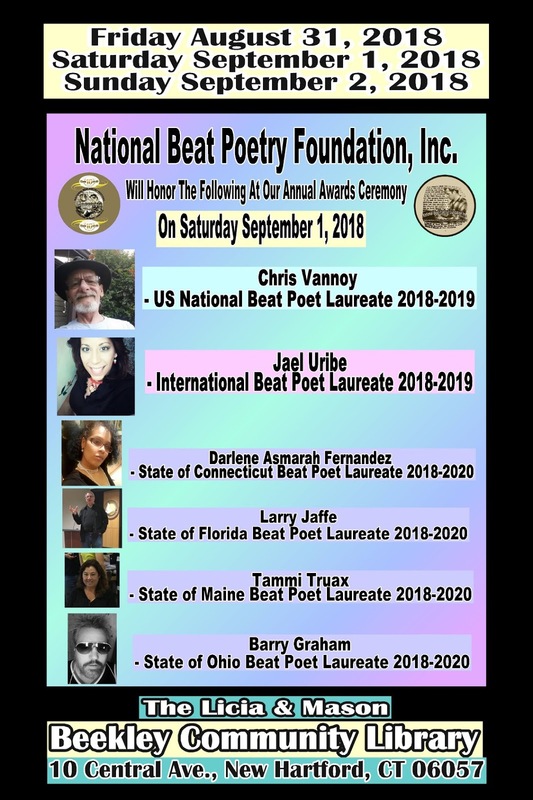 I really wanted to be there, mostly to meet the many others traveling from all over the world for the National Beat Poetry Festival. As is so often the case for me, life just didn't cooperate with my plans. Had I made it to the festival I was going to read a poem I wrote just for the event. I knew it would be accepted there, that the content would not be questioned. It won't come off well in print. It is a poem meant to be read aloud. A poem that took decades to come out. A poem that had been hidden in the dark. I'll post it below, if only so that it is finally in the light. It appeared on my Facebook feed. It is an Italianate villa, circa 1867. It is selling for just under one mill. It has had only four owners. with nails grown long for plucking. I could say no to an adult, a man. So I let him play me like a violin. from the consequences they deserved. one was elected to defile my democracy. of your daughters depend on it. A few days ago I attended a talk given by Presidential inaugural poet Richard Blanco and contemporary landscape photographer Jacob Bond Hessler discussing their collaborative exhibition, “Boundaries,” which is on view at #OMAA the Ogunquit Museum of American Art through October 31, 2018. We made our way to Ogunquit in such a dangerous downpour that made the normally beautiful drive downright scary. I took off my shoes to wade though the pop-up rivulets in my bare feet, and shook off inside like a wet dog. As I tried to see and read the exhibit in the crowded gallery the skies cleared. I saw Richard Blanco step outside to have a smoke wondering if that habit contributes to his deep and resonant reading voice. He soon took his seat with his exhibition partner in front of a glass wall that overlooks the Atlantic. Throughout the talk a rainbow dazzled high over the sea, but he held my attention more than that rare sight. Both men explore the idea of what boundaries are and many of the results have historical significance. Of the photo / poem pairings in the exhibit / book I was most moved by Easy Lynching on Herndon Ave. Here is a photo of the photo. And here is the link to the poem and Blanco discussing it. I couldn't resist buying his children's book (above) and here is a link to the art book which I had to resist buying at $350. We made paint from natural substances and learned all about the Mona Lisa. Here is the culmination of the poetry unit I taught to 4th graders. They presented the books as end-of-the-year gifts to their teachers. I combined their study of their home state with a study of poetry. We watched this video a couple of times. The highlight of the experience for me wasn't the creation of these books, it was when, at the end of one long day, when a usually quiet girl came up to me and half whispered, "I found a birch tree in my yard, and I swang from it." that I am happy to accept. 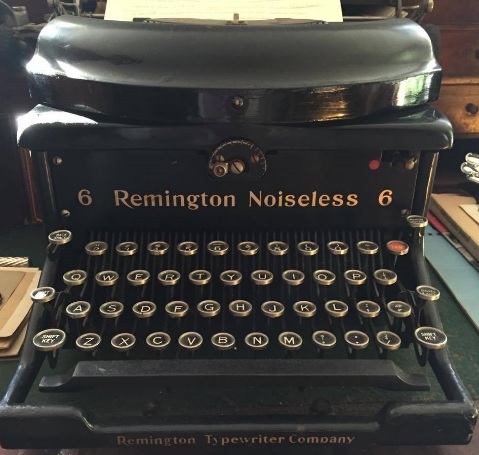 This weekend while at the Massachusetts Poetry Festival I attended a workshop entitled Ars Poetica taught by Jennifer Jean, Jennifer Martelli, and Marjorie Tesser.
" A poem that explains the “art of poetry,” or a meditation on poetry using the form and techniques of a poem. Horace’s Ars Poetica is an early example, and the foundation for the tradition. While Horace writes of the importance of delighting and instructing audiences, modernist ars poetica poets argue that poems should be written for their own sake, as art for the sake of art. Archibald MacLeish’s famous “Ars Poetica” sums up the argument: “A poem should not mean / But be.” "
of the bright light of morning. whether scalding, warm or weak. portions ever so carefully. Seasoned lightly. Stirred some, the creation comes to stillness. Tasted, lovingly with the mouth, the ear, the eye. Eventually there is satiety. Or compost. and scuff off to another room. This post is a quick recap of the highlights of my trip to the Newburyport Literary Festival today. I love the festival, and make the trip down every year. There is always far too much to chose from. It is an abundance of riches sprinkled throughout a town that is also. In the morning I attended a fun session of middle grade readers interviewing four middle grade authors. I hadn't read any of the books being featured but came away with a strong interest in reading Shadow Weaver by MarcyKate Connolly, and especially Like Vanessa by Tami Charles. It is considered historical fiction set way back in 1983! My next session was in the children's room at the Newburyport Public Library where I took some time to check out a few books that caught my fancy. After a delicious lunch break eating Al fresco for the first time this year, I attended a session on flash fiction and ended my day with a great big bang of poetry when I attended a reading called The Yoking of Love and Loss given by Rachel Hadas and Mark Doty. Mark's finale reading his poem memorializing Tamir Rice will stay with me forever. Gut wrenching. Here's a link to the poem, but hearing Mark read it is to feel it tenfold. Thanks to all of the volunteers in Newburyport who made this day possible. I taught a poetry unit to three fourth-grade classes this month and because they are studying New Hampshire all year I tied the lesson into their study of their home state. I introduced them to Robert Frost, and just one of his poems, Birches, because the birch is the official state tree. We listened to the whole poem several times, but also enjoyed the animated excerpt below. and eventually they each wrote a poem of place. Working with young poets always brings surprising rewards. This time, I unexpectedly found myself coaching the kids to get out in nature and experience her gifts with all of their senses. I shared a poem of mine that resulted from a walk in the woods. I may have been a bit of a scolding nag when it became clear that many of them had never collected rocks, smelled lilacs, or touched a birch tree. 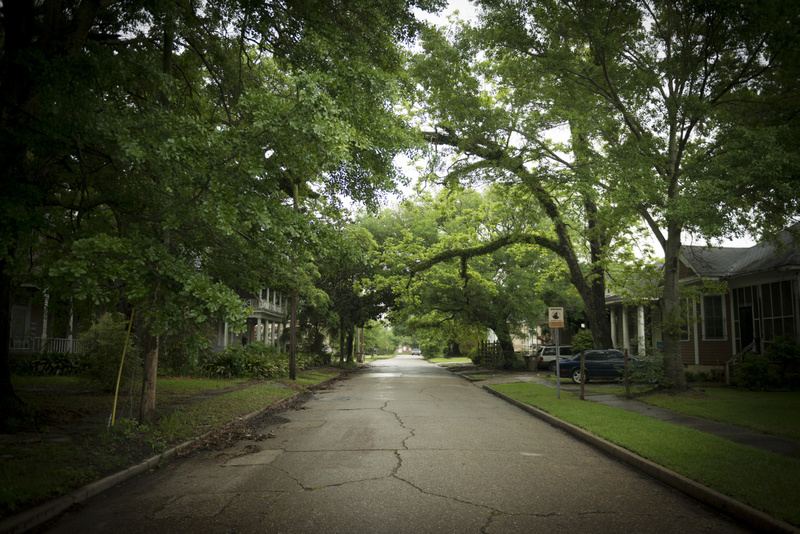 My great reward came at the end of Friday afternoon when a generally quiet and subdued nine-year-old girl came up to me, and confided in her soft voice, " I found a birch tree in my yard, and I swang from it." So many happy and sad moments this week, enough to fill a year really. I'll just touch on a couple here, perhaps the most important. My mentor died. That isn't as sad as it sounds. Hers was a long and well-lived life just a few days shy of 94 years, and I am sure she was ready to go. But the void she leaves behind is huge. As I've been looking back on our friendship, I realized that the last time I heard her read a poem it was one of mine. She had chosen one of the poems from my forthcoming book to share at the Portsmouth Poetry Hoot. Suddenly that seems so much more meaningful. She was always a champion of my work, and her encouragement helped me find my voice. For some of us that is a hard-fought task. I may not have been able to do it without her. I remember many years ago when she invited me to join the Seacoast Writer's Circle, and how privileged I felt about getting that invitation. She always read my column when I wrote for the local paper having worked in newspapers for many years herself. I knew if she praised something I had written I had done well. She was not one for false praise and any word of criticism was always kind and constructive. Both gifts of great consequence and I am so grateful for all of the gifts that she gave me. There is still a voicemail on my phone from her. I just listened to it again. She recommends a book to me, tells me that my poems "stayed with her" and suggests that I throw a "publication party". Pat and I are bookends in this photo (taken by Pavel Pyndrys) at a reading at Gibson's Bookstore in Concord, NH, 2014, for The Widows' Handbook: Poetic Reflections on Grief and Survival. "You may originally have intended to tell the story of the life of Ona Judge Staines, but the book meta-morphed into something much more significant and powerful. What you have done was take two major social issues from the late colonial period and the early years of the new nation - slavery and racism - and explore them as they impacted the lives of two very different but interconnected individuals - George Washington, the most esteemed American of his day, and Ona Judge Staines, the escaped Mount Vernon slave who lived her life in the shadows." I do wish I had a chance to tell her about a recent high - That I have been named a Sankofa Scholar. I bet she would agree that is the best title ever! I was asked to write and start giving The Ona Judge Staines tour for the NH Black Heritage Trail in Portsmouth (May through October). I know she would have loved that news, and she likely didn't know that she was instrumental in me getting to this place. I know too, she wouldn't want me to be sad at her passing. She would want me to get back to work. My very best work. So off I go. Less one champion. I have spent a couple of weeks sleeping under the starry skies at Georgia O'Keeffe's Ghost Ranch in New Mexico, and toured her home in nearby Abiquiu. I rode by horseback out to some of the places where she sat and painted, and I have looked longingly at her beloved Pedernal. Here at home I have studied her art, have cooked a few of her recipes, and of course, I have read and written about her. So I thought I had a fairly good idea of who she was. Georgia's self designed and handmade wardrobe! and here is Andy Warhol's take on G O'K. For almost a decade now I have been working, in my writing and in my museum work, to make the story of American history more honest and accurate. Beyond making a few people uncomfortable, I haven't made much impact. Yet. While it was noted (in the small marker pictured above) what was most noteworthy about the people featured in the large portraits, I wondered how relatively easy it would be for the museum to make other connections to black history in the American Art wing with similar markers, or maybe something more eye-catching. I am sure there are countless, fascinating connections that could and should be made to African Americans both well known and unknown as well as to events related to black history in the art pieces on exhibit in that wing, and all of them could be noted near the art as was done here with the Phillis Wheatley connection. We went on a tour of three historical houses that the PEM maintains, and the tours were also completely bereft of black history. I asked the tour guide what she knew of one of the house's history of slaves and servants, and she quickly replied there was none, telling me the date that slavery was abolished in Massachusetts which was a good half century after the house was built. I'm not insisting that the house owners were slave owners but I certainly question it. Either way it is simply not possible that the three houses we toured have no black history to share. Salem played a major role in the slave trade, from shipping fish to the West Indies to feed the enslaved there, to sending and financing slave ships back and forth across the seas. It is important, critically important, to tell these stories. As I have told people I've worked with at history museums in New Hampshire and Maine, if we are not telling the whole story than we are not telling the truth. Historians can't cherry-pick the history they tell. The public is entitled to the truth. The public wants the truth. The public needs the truth. As a teacher I think of bringing children of color into these public spaces and it makes me angry. We can do better. Much better. Not just in February, but February is certainly a time to be examining what visitors see and hear. The Salem Lyceum opened in 1831, and its rows of banked seats quickly filled with residents of Salem eager to watch demonstrations, lectures, and concerts. Nationally known artists, politicians, philosophers, and scientists, including Daniel Webster, Alexander Graham Bell, and Ralph Waldo Emerson came to speak in the building. 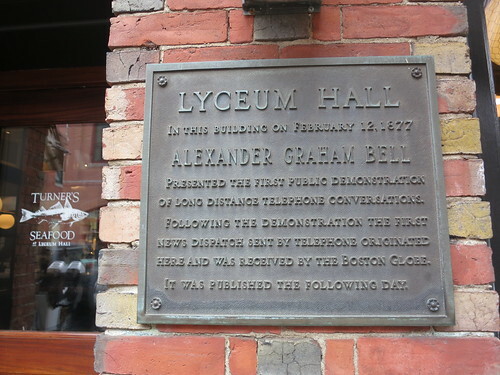 Many activists in the abolitionist movement came to the Lyceum as well, such as William Lloyd Garrison. In December 1865, Frederick Douglass lectured in the hall on the assassination of President Lincoln. The Salem Female Anti-Slavery Society The hall was also used for meetings and lectures by the Salem Female Anti-Slavery Society, whose members included the noted African American abolitionists Charlotte Forten and Sarah Parker Remond. Charles Lenox Remond gave the Society’s anniversary address in 1844 and was frequently asked to speak as part of the Society’s ongoing lecture series. How I wish I had known that while we were in the building. Apparently we missed this plaque rushing to get in out of the cold. It feels a tad ironic to me that the hall's original mission was to supplement those with incomplete educations and that the first lecture given there was entitled "The Advantages of Knowledge." Last weekend I was most fortunate to attend a meeting of Maine Women Authors #MeWA which is a group that gets together on a regular basis at varying locations. This meeting was memorable because of where it took place. Thanks to the efforts of a member, Professor Elizabeth De Wolfe, we met at the Maine Women's Authors Collection wing of the library at the University of New England in Portland. We were given a tour of the collection, and it is beautiful and inspiring, as a place to visit briefly and a place to work for hours. Now added to my ever-expanding bucket list is to someday have my work included in the collection! For now it was heart-warming to see friends like Jane Cowen-Fletcher and Betsy Sholl on the shelves. The space, inside and outside, that houses the collection is beautiful. All genres of writing are represented in the collection. This gun belonged to author Josephine Peary, wife of Admiral Peary. This table belonged to May Sarton. Old and new works, some rare, are preserved and protected. Just loved everything about the collection!